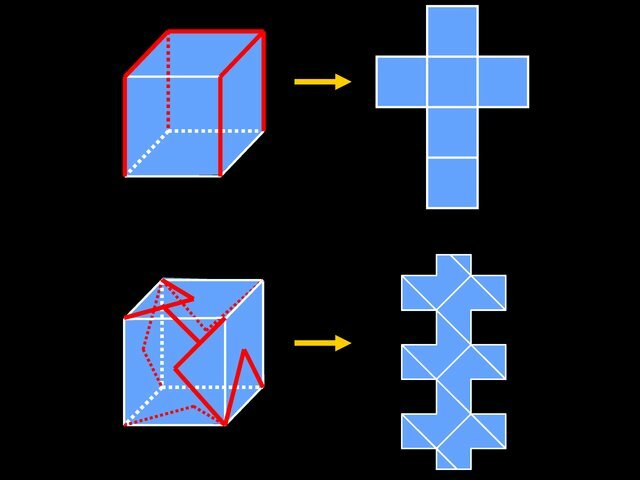 [+] Polyhedron unfolding: Edge unfoldings, general unfoldings, big questions, curvature, general unfolding of convex polyhedra, source unfolding, star unfolding, edge-unfolding special convex polyhedra, fewest nets, edge-ununfoldable nonconvex polyhedra. Does every convex polyhedron have an edge unfolding? This is also the oldest problem, implicit back to 1525. 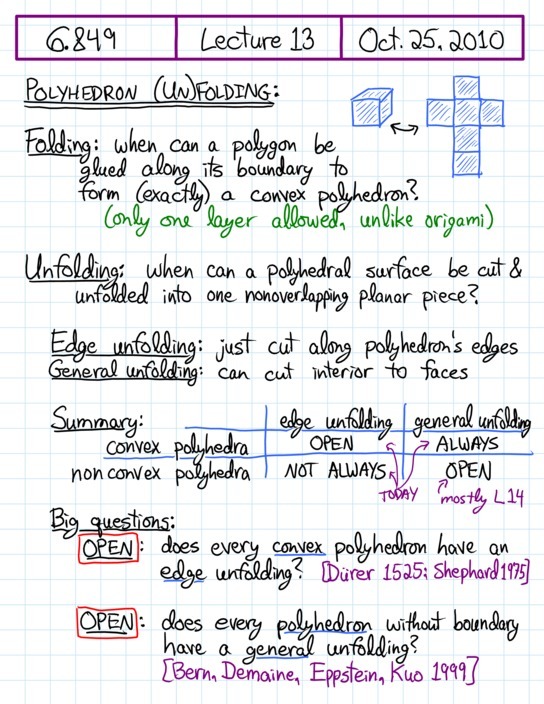 Does every polyhedron (without boundary) have a general unfolding? This is one of my favorite open problems. 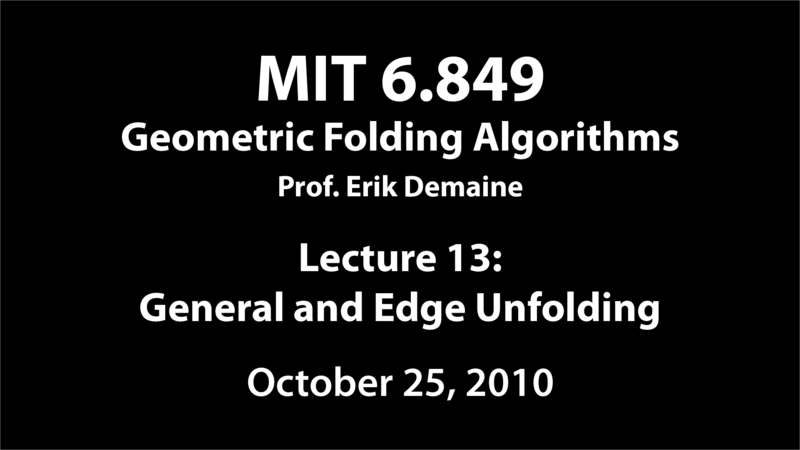 I'll describe the various attacks and partial results toward solving the first problem, as well as the reverse situations where we know much more: general unfolding of convex polyhedra and edge unfolding of general polyhedra.